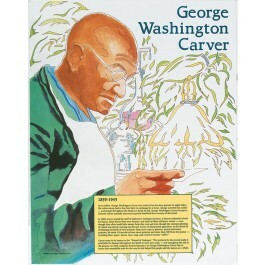 This educational poster of the groundbreaking African American botanist George Washington Carver features a striking artist's illustration of him, as well as biographical text detailing his life and accomplishments. 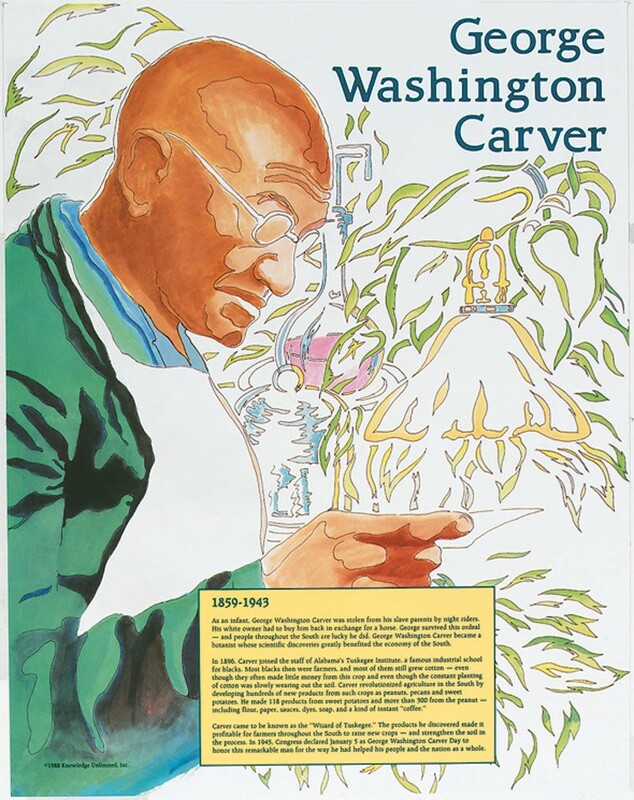 Born into slavery, Carver overcame many obstacles to become a successful scientist and professor. He invented more than 300 products from peanuts, and 100 products from sweet potatoes. Though he received many honors, he lived simply and had little use for material wealth. "It is simply service that measures success," he said.